Correction on 4/25 to reflect the correct the cost of the road project. 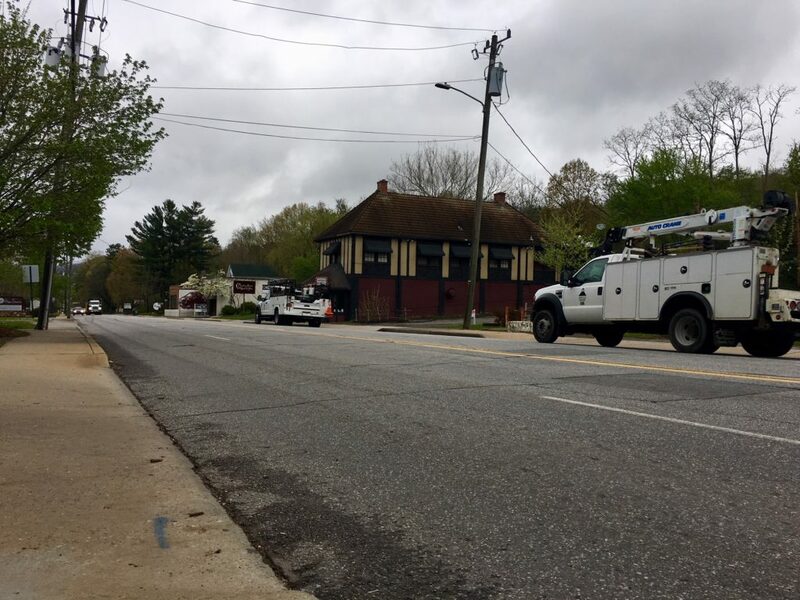 Asheville City Council on Tuesday approved significant changes to Charlotte Street that emphasize improvements to make the street more friendly to pedestrians and bicyclists. The biggest change: reducing the four-lane street to three lanes for motorists, with new infrastructure for bicyclists. Another change includes improved crosswalks. Also, the speed limit on Charlotte Street has already been lowered from 35 mph to 25 mph. The changes start at Charlotte Street’s intersection with Chestnut Street and go north, leaving the four-lane road in place on Charlotte Street heading south across the Interstate 240 overpass. The total cost to taxpayers for the changes: about $1.2 million over the next few years. 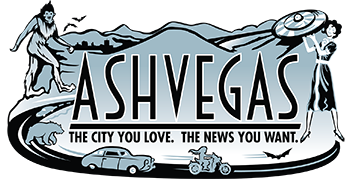 The so-called “road diet” was largely praised by residents who spoke during the public comment section of Tuesday’s Asheville City Council meeting. The street is “an urban neighborhood street, not a thoroughfare” that is flanked by historic properties, said Preservation Society of Asheville & Buncombe County Director Jack Thomson, whose organization has offices on Charlotte Street. “We fully support” the proposed changes. Resident Clark Mackey, co-owner of an Asheville web marketing company and an avid bicyclist, displayed a series of photos, as well as a map, showing stops he made in the Charlotte Street neighborhood during a bicycle ride with his daughter. Mackey said he and his daughter rode as little as possible along Charlotte Street because of dangerous, fast-moving cars. The proposed changes are “not for spandex-wearing bikers,” but for residents like him and his daughter. Mackey also spoke in favor of creating dedicated bike lanes, rather than a lane marked with “sharrows” that direct motorists and bicyclists to share the lane. Mike Sule, executive director of the nonprofit Asheville on Bikes, also spoke in favor of dedicated lanes for bicycles. Sharrows can work in some instances, but “do not have a place on Charlotte Street,” he said. One resident, Max Alexander, said the changes would significantly delay emergency vehicles responding to something like someone suffering a stroke at Grove Park Inn, or a structure fire on Sunset Drive. Every second counts in those instances, Alexander said. He added that a hypothetical 5-second delay for each of the 21,000 daily drivers on Charlotte Street would result in a total of 105,000 seconds a day, or 1,750 minutes per day, or 8,750 minutes a week), with the implication that those thousands of drivers are being punished 8,750 minutes a week for driving on Charlotte Street. In follow-up emailed comments to me, Alexander said he’s seen the pedestrian counts for the street taken in March of this year, and participated in the bicycle count last year. Some 30 pedestrians were counted on March 8 in a study paid for by the city, he says, adding that he counted zero bicycles during his two-hour observation during the bicycle count. The total count averaged about three to four bikes per day, he says. Thus, “you shouldn’t punish 21,000 people every day for a total of 33 or 34 people,” Alexander argues. Thomson, who followed Alexander in speaking, said that “by that notion, we could widen Charlotte Street to six or eight lanes” to get down the street as fast as possible. Traffic studies that the city paid for show show a minor delay to traffic on Charlotte Street, Thomson said. This story was updated at 1:15 p.m. Wednesday to clarify where the road changes begin, and to clarify statements by Max Alexander. Google maps shows the total width curb to curb is a very narrow about 38-39 feet. So when it is re-stripped it will likely be 3- 10′ lanes exclusively for motorists and substandard 4′ bike lanes. The minimum bike lane width next to a curb face is 5′. Further, the minimum combined width for a travel lane and bike lane is 16′ according to NCDOT. Here it will be 14′. Passing motorists will be skimming the bike lane. An 8.5ft wide truck (not including mirrors) will make riding in the bike lane feel like hiking in a Utah slot canyon. This is a very foolish plan duping naive bicyclists. Jason, can we please get a “Share” button for FB? Click the URL on top web address bar, press Ctrl+C, and you can then go to Facebook and paste it there.